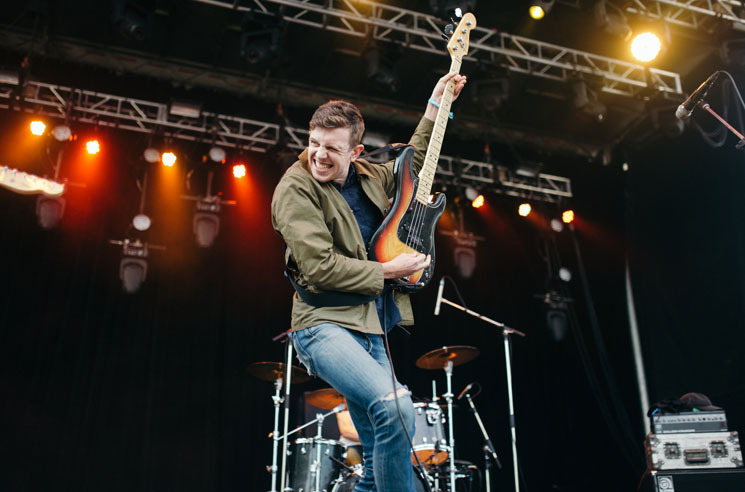 Canadian indie rock fans are in for a treat this fall, as Tokyo Police Club, Born Ruffians and the Elwins will be hitting the road together for a string of shows. The triple bill will kick things off in Winnipeg on September 27 at the Garrick Centre. From there, the bands will make stops in Regina, Red Deer, Lethbridge, Nelson, Victoria and Vancouver before wrapping things up in Calgary on October 7. The full list of joint shows can be found below. As you'll notice, Tokyo Police Club have several extra dates as well. Tickets go on sale this Friday (June 3), and full details can be found here. Tokyo Police Club's most recent release arrived as the first instalment of Melon Collie and the Infinite Radness, while Born Ruffians have been serving up some custom-brewed beers along with the new tunes from their latest LP RUFF and the follow-up EP XTRA RUFF.